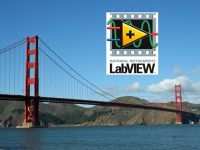 The next Bay Area LabVIEW User Group meeting is tomorrow, November 13. If you're in or around Sunnyvale or the rest of the Bay Area, don't miss it! When: Tuesday, November 13th, 2012 5:45 p.m. – 8:30 p.m.
To Register: Sign up here. Like usual, this BALUG meeting will feature several different presentation & discussion topics. Jim Kring will reprise JKI's popular NIWeek 2012 presentation, "Secret Sauce: Tools to Make You a Better LabVIEW Developer," James Hannah from Solution Sources Programming will dive deep into LabVIEW Data Structures, and NI Field Engineer Thaison Verasiri will explore the latest LabVIEW templates for application development. Come for the food, drink, and friends, then stay for the knowledge. We'll see you there!